Samantha brings a sense of calm to Energy. She’s the woman working behind the scenes to make sure our programs are well organized, allowing staff to focus on sharing their energy and passion for fitness with the world, starting with our beloved members! Naturally drawn to Yoga, her love affair with this peaceful form of exercise began at the age of 12, when she wrote a letter to her church asking them to bring yoga to the parish. They obliged and she started practicing with her Mom shortly after (thank you mama), continuing on through high school and college, eventually making her way to Energy where she worked as a child care assistant and front desk assistant, before transitioning into her current role as our studio manager. After some encouragement from our staff, she signed up for the 230hr program through the Yoga Center of Minneapolis in September of 2015 and became a certified meditation instructor in May of 2017. 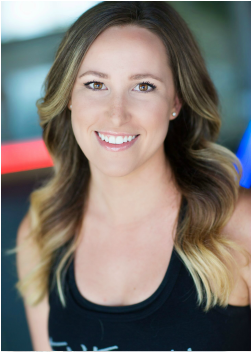 Samantha is now teaching Yoga-Barre, Vinyasa Yoga and Vinyasa II, as well as providing private yoga sessions with a focus on total body wellness, stress relief and relaxation. In her free time Samantha enjoys spending time with friends and family, traveling, cooking, and trying out new restaurants around the twin cities. “Find life experiences and swallow them whole. Travel. Meet many people. Go down some dead ends and explore dark alleys.